Apple has made enhancements in iOS 9's built in apps, which will greatly simplify your life and make daily things easier. This new iPhone app brings in news stories on auto-pilot on the sources you've selected. Create smart cards, incorporate URLs, photographs, maps or even documents. Completely new app for the things which are Payment based. Apple Pay will be overseen. CarPlay incorporates deeper support for the controlling system of the car. It is possible to run more than one application at once on the display screen of iPad with iOS 9.
iOS 9 works on the info gained from the users habits. Siri is able to create contextual reminders. 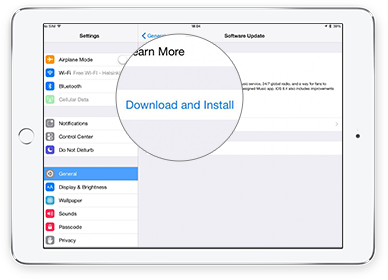 iOS 9 accompanies incredible refinements which will great improve your gadget's performance. iOS 9 helps Android clients shift over to Apple camp by transferring everything from Android to iPhone. When you are working in an application in ordinary full screen yet you need to bounce into a second application without shutting the first. Copy, cut and paste text using the dedicated shortcuts on the keyboard. Move the cursor by simply dragging. Siri now has the ability to receive virtually any info directly from the apps within your gadget. The iOS search screen will certainly display the contacts you converse frequently, those people you last chatted with, as well as those people you've planned to meet in future. Your iPhone will now be able to foresee your best courses of action relied upon the context. A completely new Low Power Mode that can raise the battery life by 3 hours by closing those features of iPhone that drain the life of the battery. 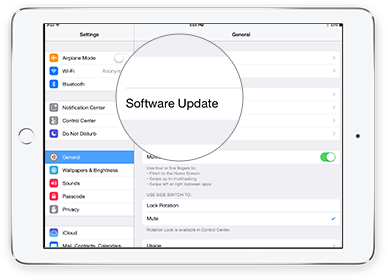 iOS 9 will now provide to temporarily remove few applications or content to make space for the iOS update. Deleted apps will then be naturally reinstalled. The applications make effective utilization of the CPU and GPU and reducing the usage level up to 0.5 of the usage of CPU. iOS 9 offers clients to make 6 digit passwords rather than 4 digit passwords for extra security measures. It is also possible to make a password having 4-digits. Move to iOS is the new app of Apple that permits the Android clients to move there all types of files effortlessly to iOS gadgets. 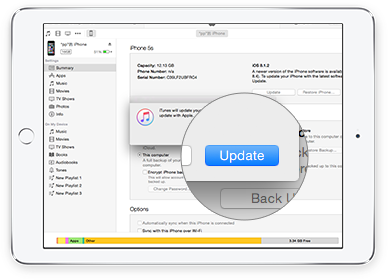 * Step 1 On your device > tap "Settings" > "General" > "Software Update"
* Step 1 Plug in Device > Open iTunes > Hit the "Summary" Tab > Click "Update"
iSkysoft iPhone Data Recovery helps recover your lost messages, photos, videos, contacts, notes and more from your iOS gadgets, or backup of iTunes and iCloud records. 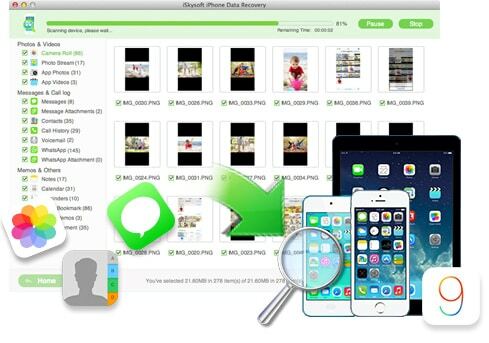 Recover all sorts of lost data diectly from iOS devices or from your iTunes or iCloud backup files. 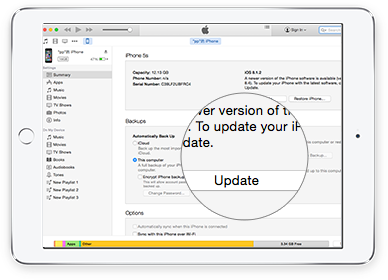 Partially or entirely transfer all information among Android, iOS, Symbian and computers. Transfer media records from iDevices to iTunes Library or your computers without any difficulty.